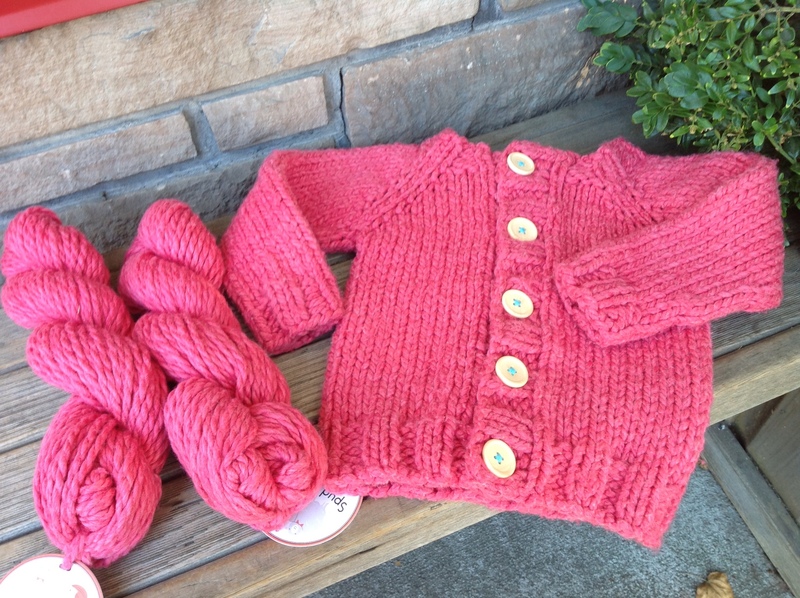 Need to knit up a quick kid's cardi? 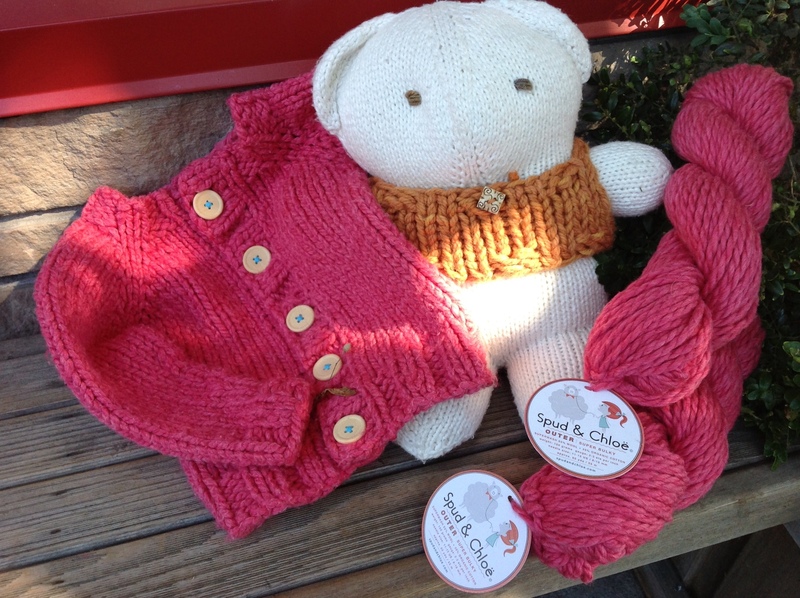 We love this pattern in Blue Sky Alpacas' Outer, a bulky weight superwash cotton/wool blend. Two skeins knit our 24 month-size sample. Stuffy is the Baby Bobbi Bear, knit in Blue Sky Alpacas Organic Cotton.